Making an impact one family at a time. The family law attorneys at Emily A. Fisher, P.L.L.C. represent clients in all aspects of a divorce, including child custody and support, visitation, modification of support, and relocation. Our practice also encompasses other family law matters such as paternity and adoption, and we provide assistance in drafting wills and trusts and in probate administration as well. Child Custody Joint custody, known in Texas as joint managing conservatorship, is the favored method of child custody, although the court may grant a sole managing conservatorship in the best interest of the child. Conservatorship in this context refers to legal custody, which in turn reflects the rights of the parent or parents to make decisions regarding issues such as the child's education, medical care and religious upbringing. The actual physical custody of the child is known as possession and again can be granted solely to one parent, although possession is usually shared in some fashion. The parent with primary possession generally receives child support from the "non-custodial" parent. Child Support Both parents have an obligation to provide financial support for the children. To that end, the court nearly always orders child support to be paid to the parent who has primary custody (possession). The amount of child support is calculated according to guidelines which are based on the payor's (obligor's) income and the number of children to support. Basically, this guideline ranges from 20% to 50% of net income (gross income after deducting for federal taxes, social security, union dues, and health insurance premiums paid for the child/children). Other factors may be considered by the court in determining whether to order child support and the exact amount which will be ordered. Modification A modification of a court order as to either custody or support may be granted upon showing a material and substantial change in circumstances. Examples of such changes include a change in residence of either party, a change in the needs of the parent or child, or a change in the standard of living of a parent or child. Relocation Sometimes, the parent with primary possession of the child may need or want to relocate to another state or a great distance within the state from the other parent. If there is no geographical restriction in the divorce order, the parent is free to move at any time. However, if the order did contain a geographical restriction, then the parent with primary possession needs the other parent's written agreement in order to move with the child. If agreement cannot be obtained, the parent will need to go to court and convince the judge that the move is necessary and in the best interest of the child. Other Family Law Matters Although our practice concentrates most heavily on divorce, we also assist in adoptions and paternity issues. These issues often arise in the context and consequences of a divorce. For instance, when an ex-spouse remarries, the new spouse may wish to adopt a child with whom the couple has sole or primary custody (conservatorship). Our experience with stepparent adoptions has given us the background and skills to handle other domestic adoptions as well, either through agencies or independently. Paternity (parentage) can become an issue during or after a divorce. Establishing legal parentage vests that person with the legal rights and responsibilities of a parent, including the right to share in custody or visitation, and the obligation to pay child support. Grandparents may also have visitation rights regarding the children of divorce. Our office represents grandparents in proceedings to obtain visitation rights. Wills, Trusts and Probate Often times, a major life event such as a divorce will prompt family members to create or revise their estate plan. We assist families in drafting these documents, and can shepherd the estate through a probate proceeding as well. Emily Fisher and her associates take a very family-centered approach to your divorce or other family law matter. Whenever possible, our lawyers encourage a collaborative approach or other method which resolves the issues at hand in the best interests of the family, with minimal ill will and maximum potential for a lasting, workable and positive resolution. If you are in the Galveston area or nearby on the Texas Gulf Coast and find yourself facing a divorce or other family law matter, contact Emily A. Fisher, P.L.L.C. 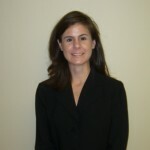 Emily A. Fisher is one of only two Galveston attorneys currently Board Certified in Family Law, a distinction which connotes substantial involvement and continuing education in the field, specialized knowledge and experience, and a positive reputation from fellow lawyers and judges. 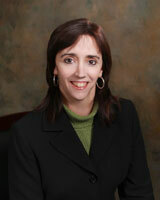 Ms. Fisher has been Board Certified in Family Law by the Texas Board of Legal Specialization since 1992. She has also obtained certification as a mediator in Civil and Family Law by the University of Houston, Clear Lake, and has received Basic and Advanced Training in Collaborative Law in Houston. She has also attained the highest possible rating of "AV" from Martindale Hubbell, the national directory of attorneys, signifying preeminent legal ability and demonstration of the highest ethical standards. When away from the office, Ms. Fisher spends time with her husband and two children. She is active in her church, Immanuel Baptist Church in Galveston, and in the Daughters of the American Revolution, and serves as Director of Mission Galveston. Texas City native Ms. Pontikas devotes her practice primarily to Family Law. She has been with Emily A. Fisher, P.L.L.C. and its predecessor firm, Martin, Garza & Fisher, L.L.P. since 2000. While in law school, Ms. Pontikas participated in Mock Trial in the Fall of 1997. When away from the office, Ms. Pontikas enjoys time with her husband and son. 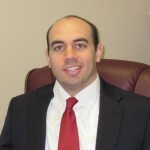 Joshua Shamburger practices Family Law, Criminal Law and Probate Law since joining the firm in 2010. He has also obtained certification as a mediator in Civil and Family Law by the University of Houston, Clear Lake. Prior to becoming an attorney, Mr. Shamburger taught high school at Bay Area Christian School and served as an assistant baseball coach. When away from the office, Mr. Shamburger enjoys participating in various sports activities and is an avid Alabama fan.